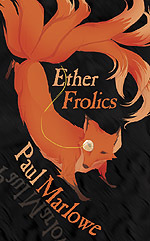 Interested in the academic side of Canadian Science Fiction and Fantasy? Plan to attend the 2017 ACCSFF, June 2-3! The conference will feature papers on Arrival, Lost Girls, SF music, We Stand on Guard, Larissa Lai, Emily St. John Mandel, Peter Watts, Spider Robinson, Guy Gavriel Kay, Native-Canadian SF, and more. Keynote address speakers will be Madeline Ashby, author of Canada Reads Finalist Company Town, and Dominick Grace, author of The Science Fiction of Phyllis Gotlieb. Register now to take advantage of our early rates! As a volunteer-driven organization, the membership is always appreciative of those who serve on the Board, and offers sincere thanks to the outgoing Board for their service. Best wishes to the new Board! SF Canada member Nowick Gray has released a new speculative novel. PsyBot is every programmer’s nightmare: the bug that gets loose on the user side of the interface. Virtual reality, Joe Norton discovers, is not confined to hardware. Is the only way out, to go further in? 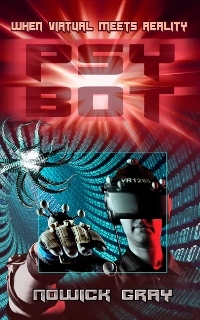 PsyBot, in the best “cyberpunk” tradition, is both speculative technothriller and character study. Its themes comprise both personal growth and corporate machination. The language aims for that balance of gritty description and eloquent quest that can satisfy equally readers of sci-fi or morality tale. The use of genre elements—alien abduction, offworld travel, astral projection—is effectively ironic, introduced by the antagonistic computer virus to tempt and tease, to call into question the arbitrary fabric of every virtual reality we yearn for or claim to inhabit. PsyBot: A Novel of the Near Future is available from Amazon.ca in both Kindle and paperback formats. Read a preview chapter here, and more about the novel here, at the author’s website. Nowick Gray’s Rendezvous, an adventure novella with a paranormal twist, was published by World Castle in 2013. His short fiction and nonfiction has appeared in a wide variety of periodicals and anthologies. Reviewers have praised the “standout fiction” ( James A. Lee); “gripping story technique” (Frank Burnaby); “captivating forward momentum” (Sally Ross); and “fully fleshed-out characters, living and breathing” (S. L. Saboviec). Connect with Nowick Gray and his writings at nowickgray.com.